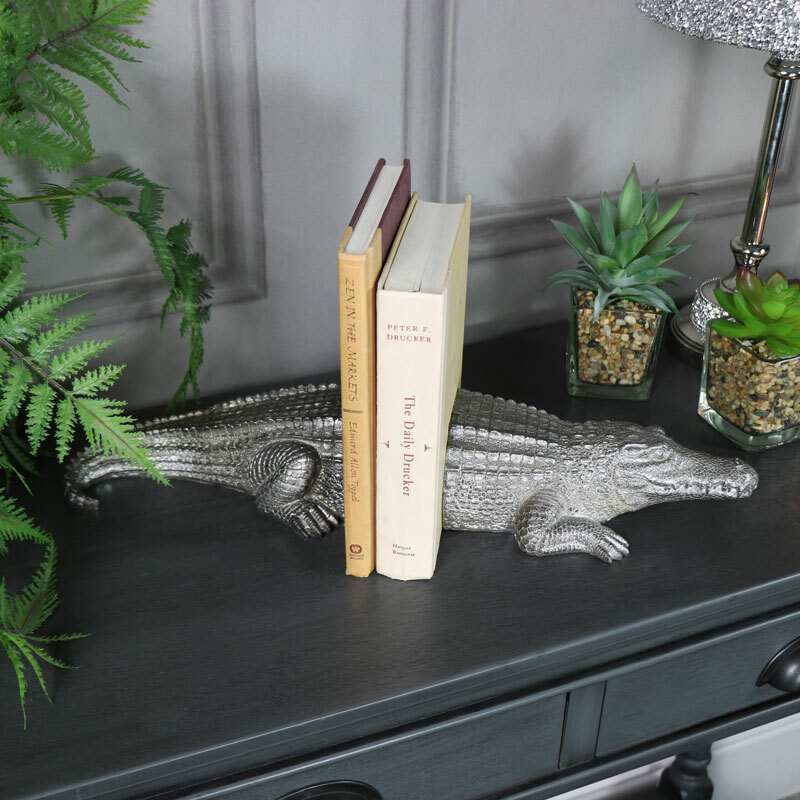 Keep your books neat and orderly with the help of this snap happy crocodile bookend. Fun and quirky design that will look fantastic sat on a bookcase or shelf. Ensure your books are displayed in great style. 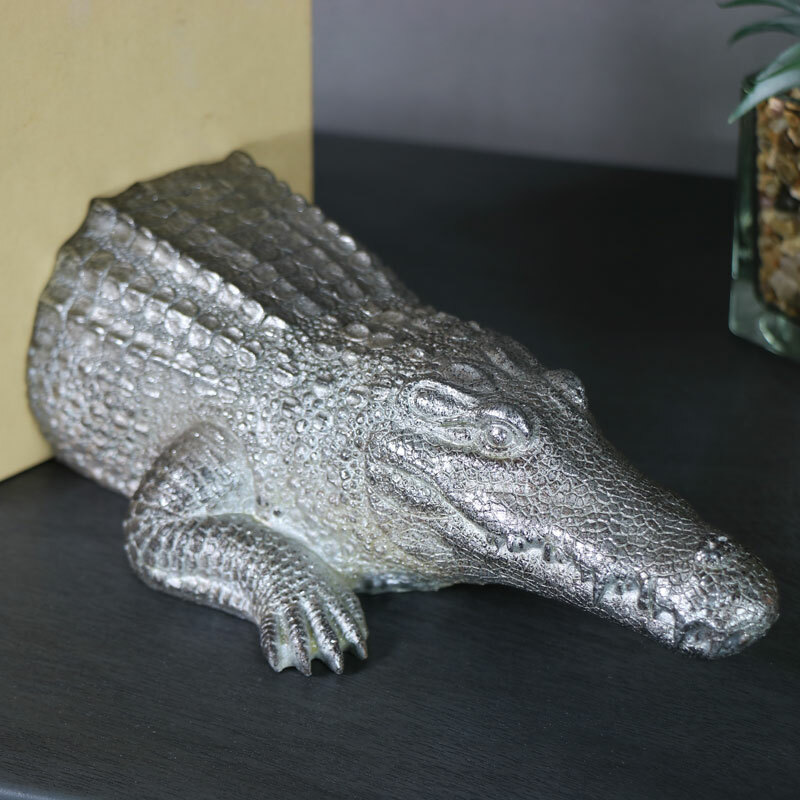 Stunningly detailed crocodile in an antiqued silver finish will add a fun element to your home. This crocodile will make a great gift idea for a book and animal lovers. 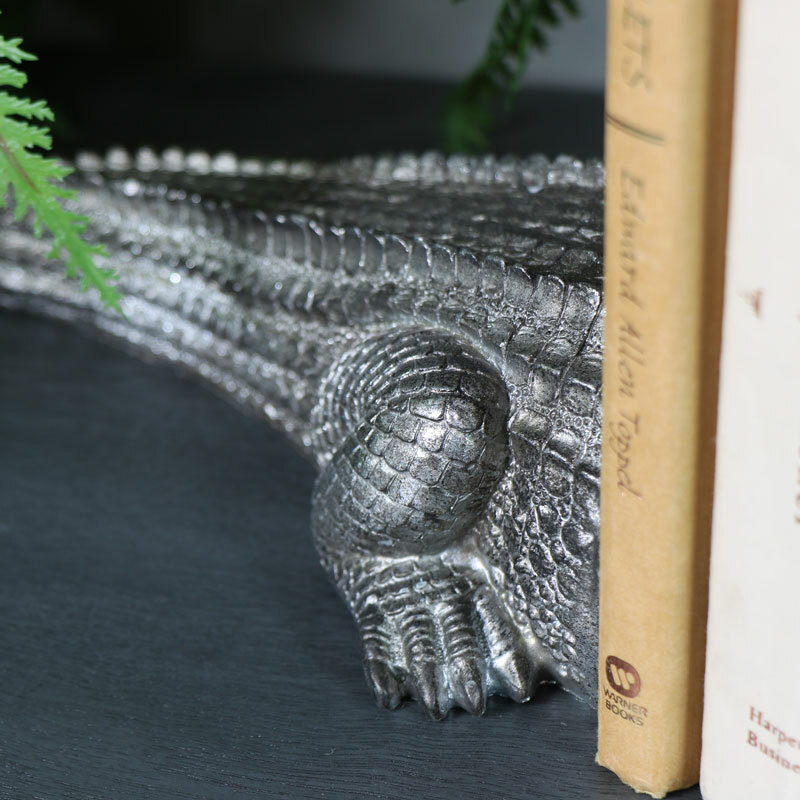 These crocodile bookends form just a small part of our extensive range of gifts and home accessories. Never be stuck for gifts ideas again, we have something to suit every occasion.